Jeff is no longer taking any trips, refer to his links page for a guide he recommends.. 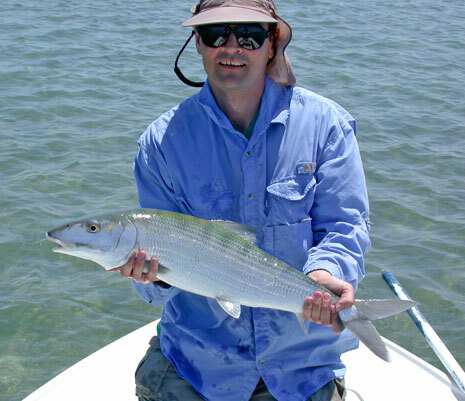 This could be you with a large bonefish caught flats fishing in the Florida Keys with fishing guide Capt. Jeff Belsik.